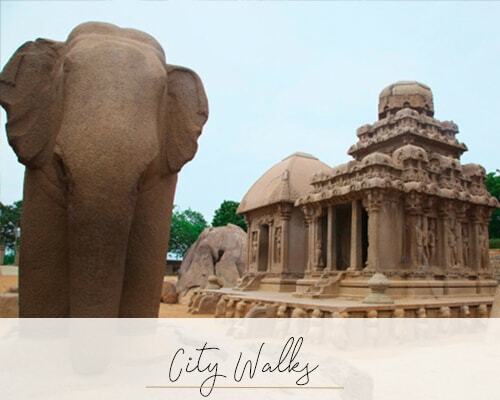 A beautiful two-hour ride along the scenic East Coast Road from Chennai gets you to the seashore town of Mahabalipuram. 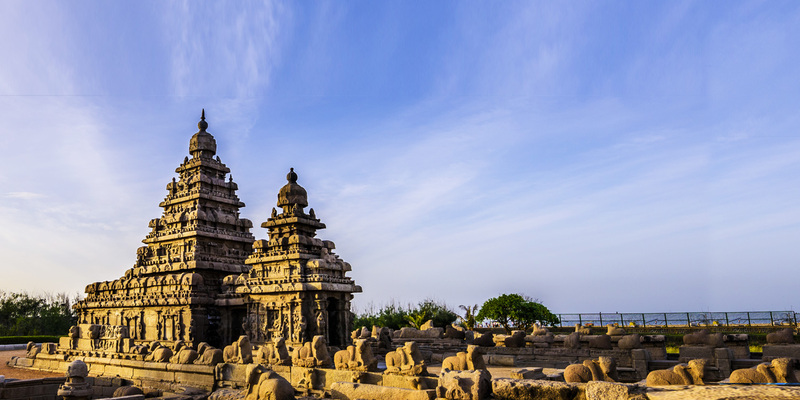 The magnificent Shore Temple, although ravaged by the elements and the pounding ocean waves, still reflects the glorious past of these intrepid merchants. 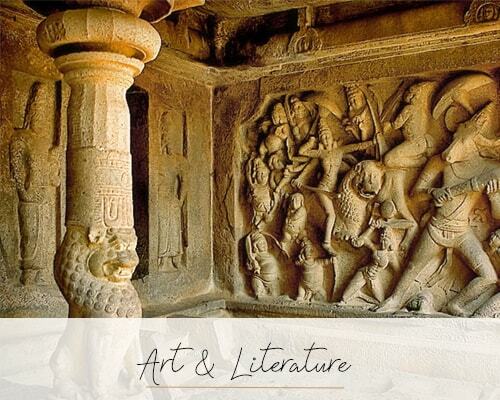 We recommend a walk around the five Rathas or temples in the shape of chariots named to admire the craftsmanship of the sculptors, who carved these temples out of single blocks of stone. Another impressive monument, listed as the earliest free-standing stone temple, from the 8th century, is the Shore temple of two towers. Many stone masons still work here, mainly making statues and souvenirs, but it’s interesting to see them at work and you can purchase miniature copies of the stunning sculptures that cover this temple as mementos to take home.